Over 40 teams entered the 2011 SAS Analytics Data Mining Shootout, an analytics competition open to any accredited college or university in the United States. Participants were given a hypothetical, but common business problem to solve and assessed on the accuracy of their predictions and quality of written report. 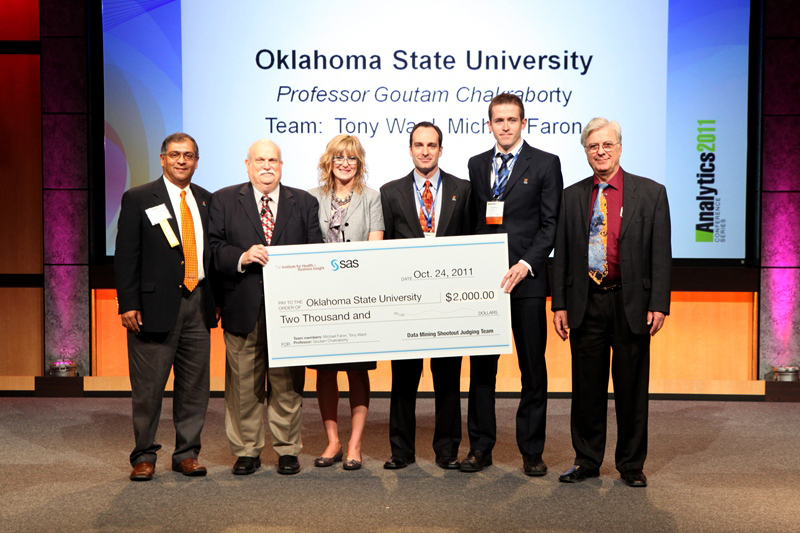 As a distance learning student of Oklahoma State University, I teamed up with classmate Michael Faron from Austin, Texas and entered the competition. We were selected as finalists- ultimately winning a bronze medal, a cash prize for our university and an all-expenses paid trip to speak at the 2011 SAS Global Analytics Conference in Orlando, Florida. Read the winning report here.